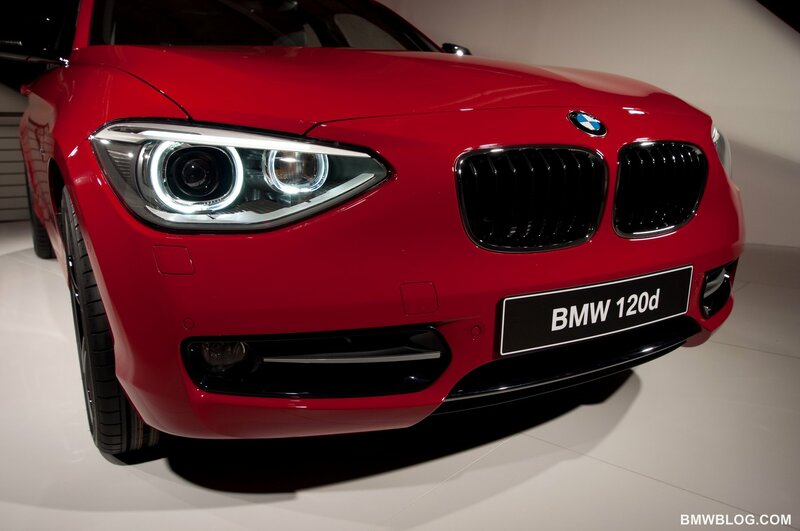 Approaching the new 118i Sport, the bold, provocative lines make sense. 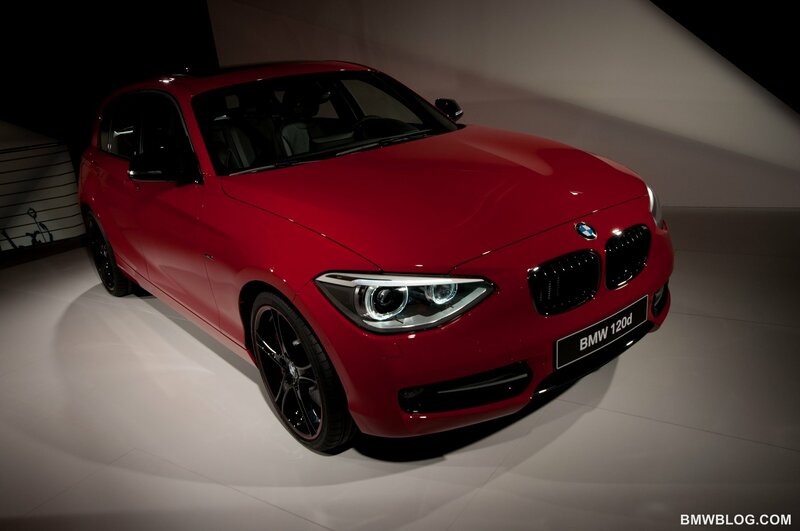 Whereas in photos most readers have found the new 1er to have polarizing looks, in person it is a different story. Among the international body of journalists here, everyone seemed to have positive conclusions on the exterior styling – including myself. Frankly, it’s hot from certain angles (front 3/4 for example) and clean from other angles at worst. We will bring you a styling analysis shortly, but first, let’s get down to business: how does BMW’s new F20 1 series perform? 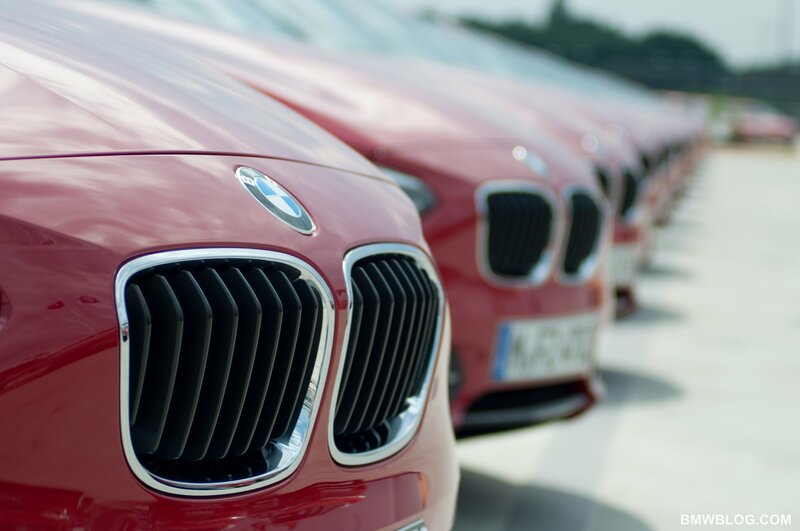 Settling in behind the wheel, you forget that you are in a 1 series. The cabin design is artful and luxurious – without question this is the most premium interior in the segment. The driver’s seat offers good support and I found the car to be spacious once belted inside. Hitting the starter button on my 1.6 liter twin-scroll turbo inline-4, a surprisingly baritone exhaust note filters inside. 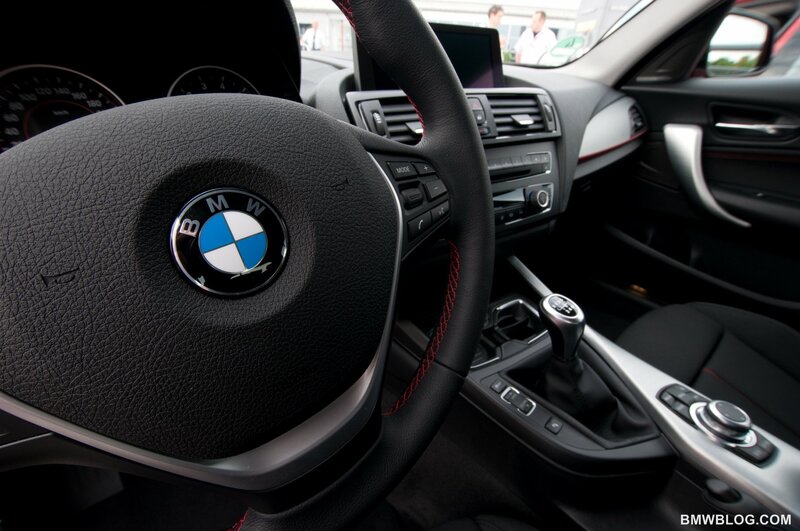 Setting off the controls are intuitively placed as is typical of BMW design, and everything falls to hand. 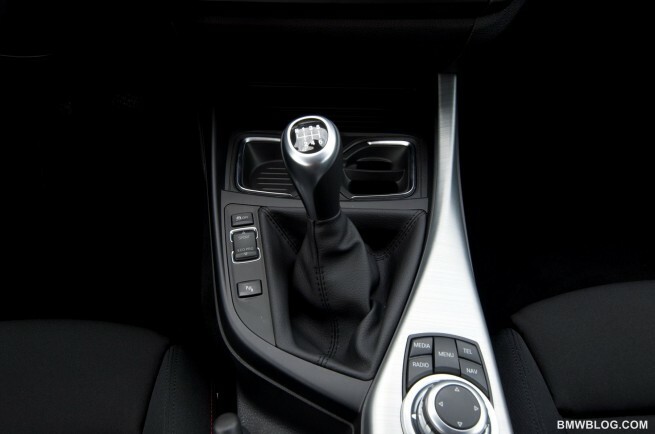 Shifts from the 6-speed manual gearbox are crisp and relatively short throw. Clutch take-up is friendly even to beginners and pedal resistance is light – a positive in heavy traffic. Weaving through traffic, the chassis begins to come to life. The car is nimble and easy to thread along congested roads. At first, the car feels larger than it really is thanks to your view over the hood, peering over the bulbous and muscular hood and fenders. After spending a few minutes in traffic however, it shrinks in size and perhaps feels more compact than its actual dimensions – a compliment to any car’s handling dynamics. The suspension set up is taught but not firm and offers excellent damping over bumps in the road. BMW admitted they purposefully selected roads along our route that were extremely bumpy with poor surface quality to showcase the comfort and composure of the chassis in all real-world driving conditions. 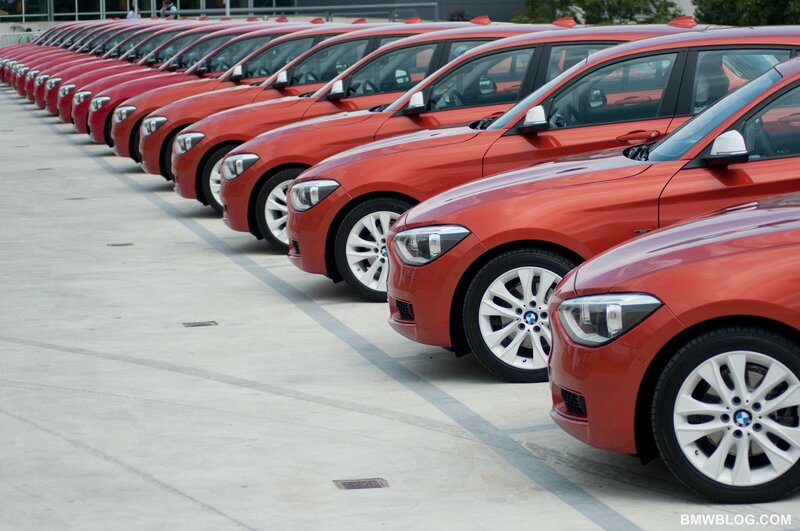 Needless to say, the new 1 series passed with flying colors. 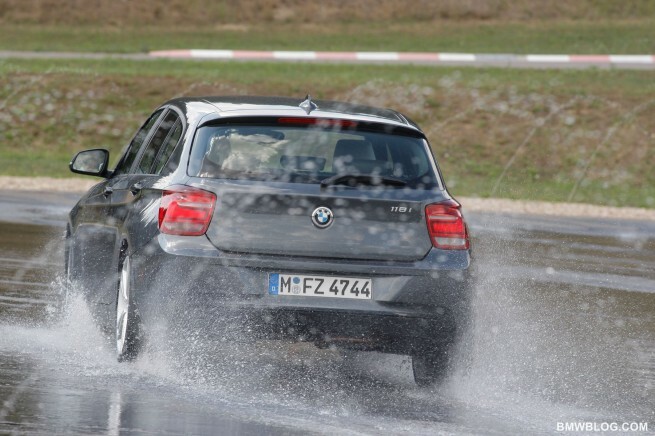 This 118i was equipped with the sport suspension and while it was a touch soft to my taste (my taste including an affinity for the racetrack), it had an overall good feel, mild body roll and fun character. Most will find it perfectly sporting to their taste, and some grumpy drivers may even find it too firm, thus opting for the ‘urban’ package which offers a higher ride height by 10 mm and softer springs / damping. Leaving the city, the 118i feels perfectly at home on the highway. Cabin noise is muted and the array of driver aids make for a safe trip. 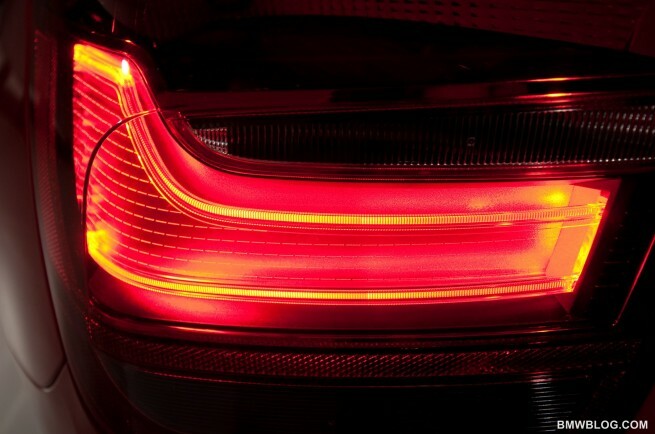 Included among them is a lane departure warning system, available for the first time on a compact car in this segment. After a long sleepless flight, I really appreciated this feature for its security should I have gotten sloppy and wandered to the edge of my lane. BMW’s connected drive also goes a long way to keep you safe and on track, with posted speed limits shown on the dash as a small road sign, and passing zones indicated just to the right of the posted speed. I found this feature particularly helpful while on the autobahn as the unrestricted areas were flashed onto the screen. Time to find terminal velocity. Squeezing as many revs out of 5th gear as possible (6th gear is too tall to accomplish top speed), the 118i proudly approached 230 km/hour on the autobahn. This performance from a 1.6 liter 4 cylinder is highly impressive. At these speeds the car is stable and poised, feeling planted and secure. Braking back down to speed felt equally as secure, and the car remained planted without any nervous jitters from the rear. The brakes felt good with plenty of bite and stopping power from all speeds. One of the best character traits of the new 1 series is its overt turbocharging. The 1.6 liter was full of playful turbo humor, audibly whining as the turbo spooled under throttle, and hissing as the waste gate dropped the boost pressure. What fun! Why not embellish the cheerful character of this turbo engine instead of trying to mask its forced induction? BMW has done a great job allowing the new 118i’s engine to shine through and delight – not just in performance, but in the sound department too. 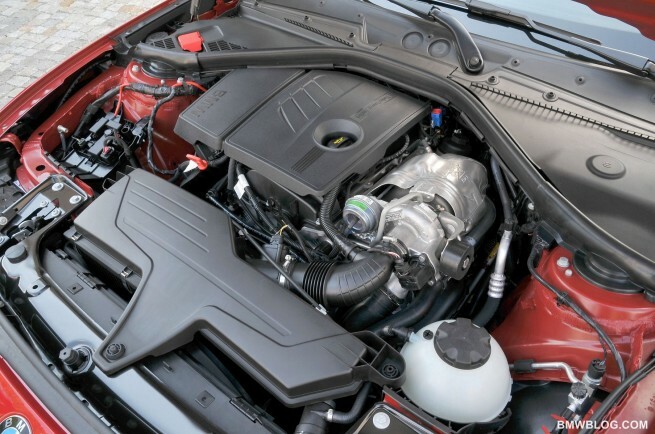 The 1.6 liter inline-4 is equipped with Valvetronic, double VANOS and direct injection along with its turbo. The results are staggering from a 1.6 liter: 170 hp, at 4,800 rpm, 184 lb ft of torque from 1,500 rpm to 4,500 rpm, 0-60 in 7.4 seconds, and a blistering top speed approaching 230 km/hour (we believe it was good for more, but we had to get on the brakes for a slower car meandering into our lane). 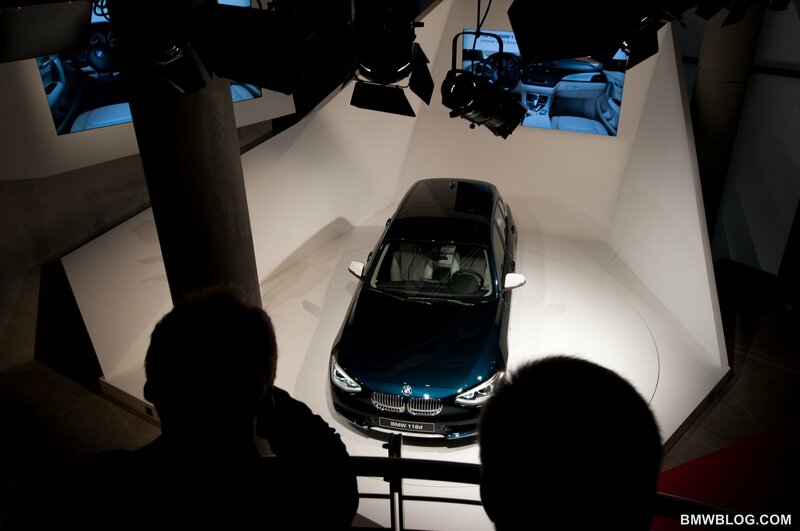 Pivotal to the new 4 cylinder’s performance was its balance and smoothness. Honestly, this was the smoothest 4 cylinder I’ve ever encountered and while it idles a bit rough, above idle it becomes silky – almost fooling you in the cylinder-count department for an inline-6. And now the moment we’ve all been waiting for: an analysis of the new 1 series electromechanical assisted steering feel. It’s not bad. I would even say it’s good. Sure, it does remain just a touch ‘rubbery’ at moments, usually around dead center and we also felt that bumps and nuances of the road where a touch too muted, but BMW has managed to massage the system to all but eliminate this feeling. Is it as raw and precise as the hydraulically assisted systems of yesteryear (or the current M car lineup?). No. But it does have good weighting and decent feedback. Call us crazy though, as we are looking at this topic through race-track shaded lenses. 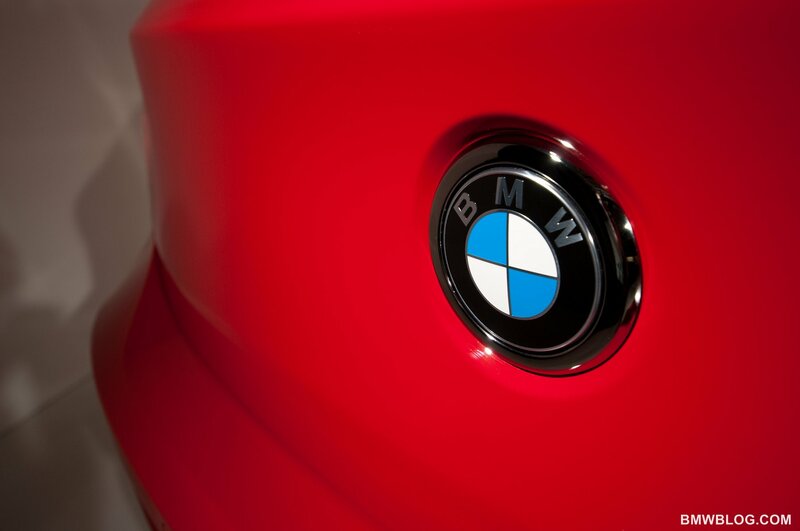 As a daily driver prone to back road blasts, you will find the steering positive and worthy of the roundel. Knowing that the above conversation would be had, BMW added a toggle switch that incorporates steering feel into the matrix. Moving from Comfort mode to Sport +, the steering tightens up a bit and begins to transmit more from tire patch to palms. We left the driving mode in Sport + for most of the time to enjoy this improved steering feel, along with a more responsive engine mapping and sound. At the opposite end of the spectrum is Eco mode which offers real time hints and suggestions towards achieving better economy. Both your throttle angle and gear selection are analyzed and based on several perimeters the system will determine the most efficient driving approach. BMW coined it “Eco-tainment” during their press release and we like the term. After all, away from spirited driving you need a challenge, so why not hyper-mile? The extra savings can help you save for your next track day, so there is a meaningful bonus. 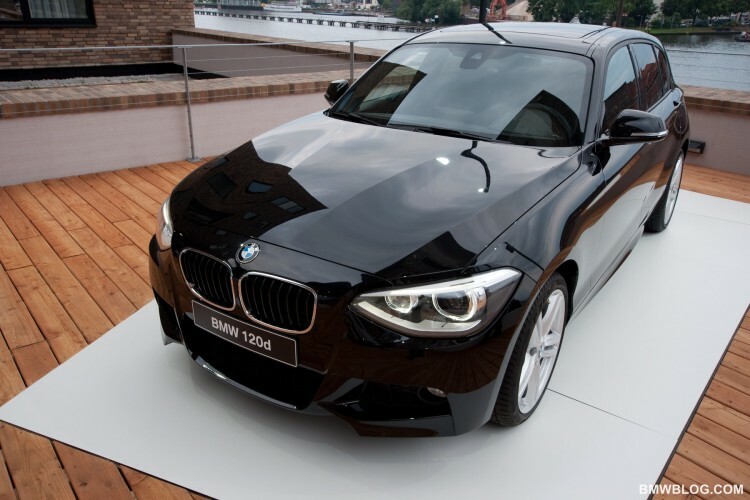 The new 1 series comes equipped with Harmon-Kardon sound and the system sounded great no matter the genre of music, windows up or down. 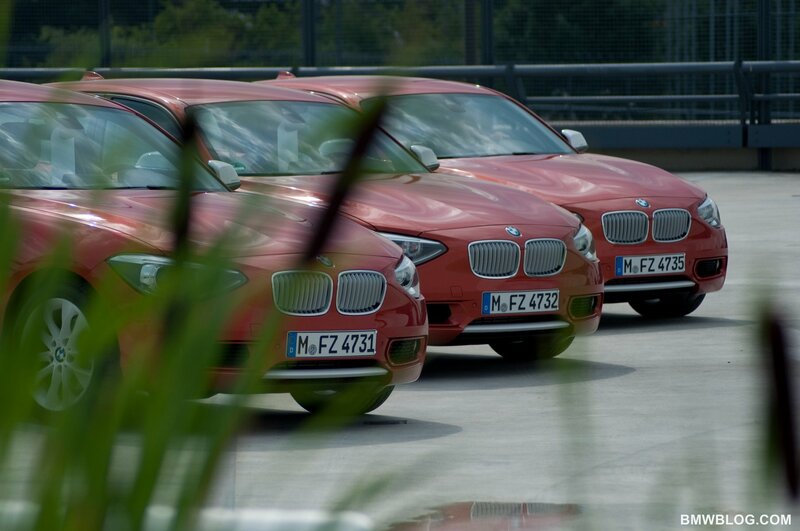 You get the feeling that BMW has designed this car to suit a young, energetic demographic. 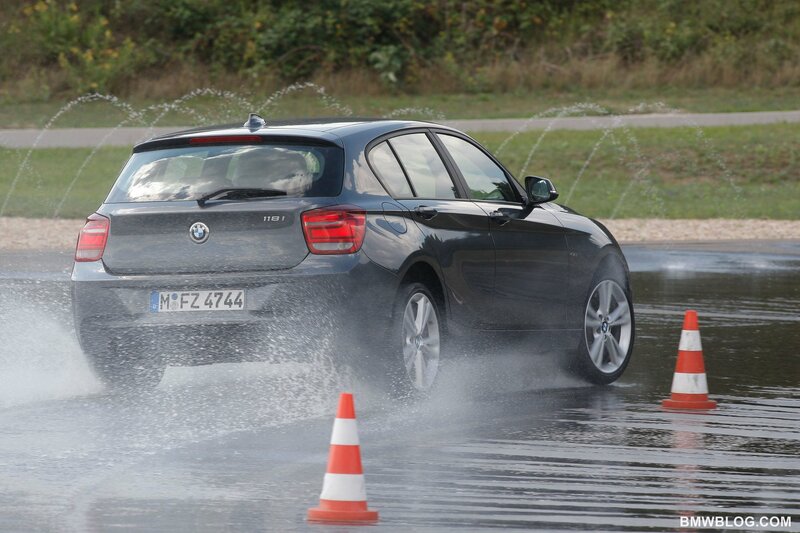 It constantly surprises and impresses as you get acquainted behind the wheel. The only thing missing from our ‘fun factor’ was a sun-roof, but of course this is available as an added option. We could go on for some time about our experience behind the wheel, but this article is intended as a first drive snippet to wet your appetite for more. 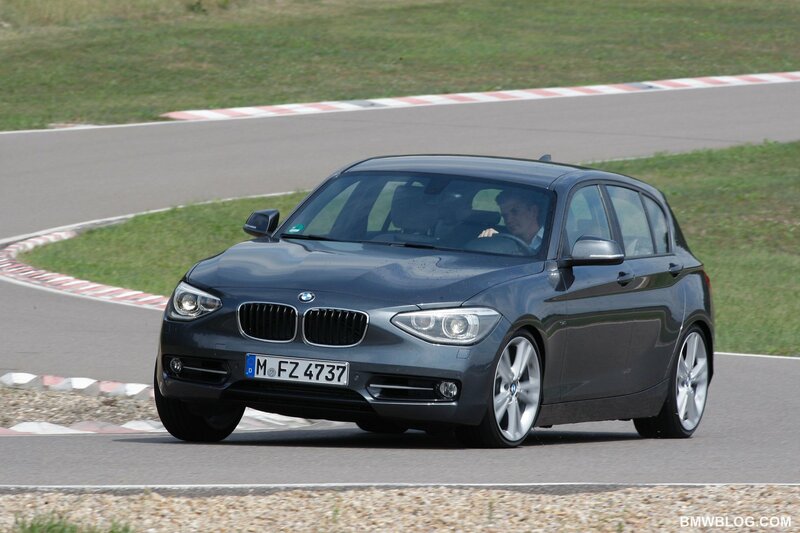 In summary, we were deeply impressed with BMW’s new 1 series and its fun, playful yet poised and classy demeanor. Stay tuned for further reports including a styling analysis and race track performance analysis.